This weekend, to get some fresh air, get out of the house, and maybe find something worth photographing, I went to my standby little piece of the natural world, Leesylvania State Park (LSP), in Prince William County, Virginia. It is within 5 miles of my home, and there is always something to see there any time of the year. When I arrived at LSP, I drove through the park to see if there was anything unusual happening–and there wasn’t. I was not surprised, nor disappointed, because I knew I would eventually find something photo-worthy. After parking, I went to Bushey Point with my Nikon D800 and 28-300mm lens, prepared for anything. I carried a small backpack with my 70-200mm (with a TC-20) and my 24-70mm, just in case. 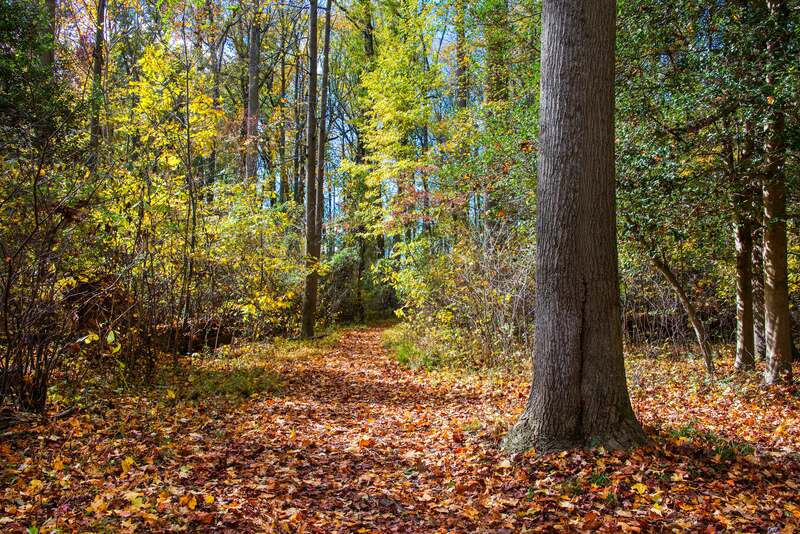 The first thing that caught my attention was all the fall colored leaves on the Bushey Point trail leading to the Potomac River. Although there was some green and fall colors left in the trees, there was no doubt that most of fall colored leaves were now on the ground (above image). There was nothing special or unusual going on at Bushey Point, other than the Potomac River being lower than I had seen it all year. I was expecting to see the river’s shoreline covered in debris from hurricane Sandy and the river above its usual level, but the opposite was what I found. 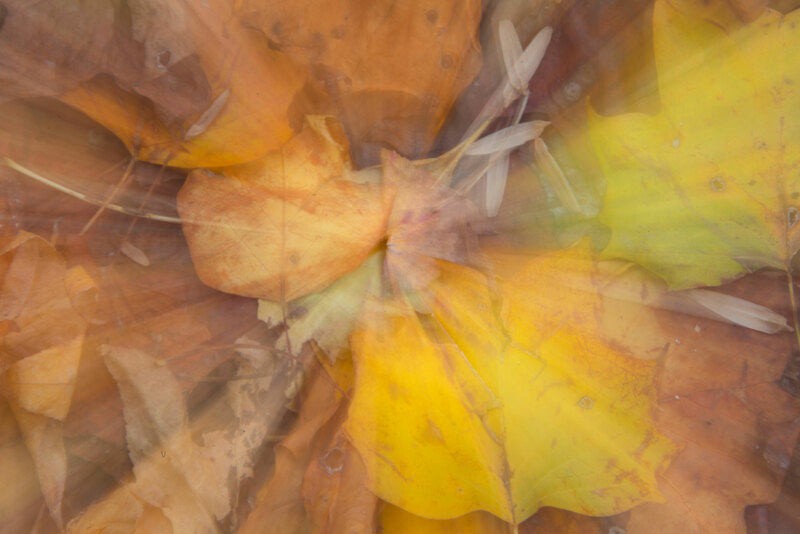 So, I thought I would experiment and photograph some of the colorful leaves on the ground with the intent of creating abstract images of the fallen leaves. I slowed my shutter speed down and with camera on a tripod, I took the first, above, and below images. 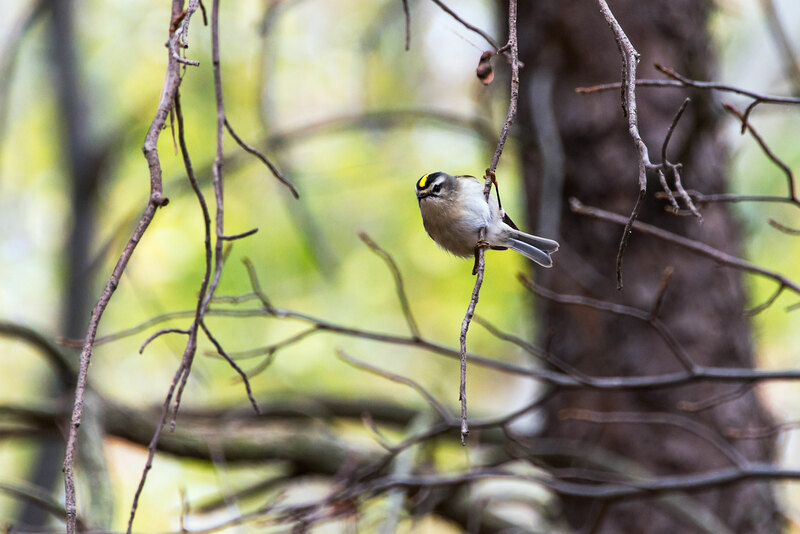 When I entered the boardwalk over a wetland, I met a friend, Judy, and during our conversation, she told me that she had just seen a Golden-crowned Kinglet and showed me the image of one on the back of her camera. 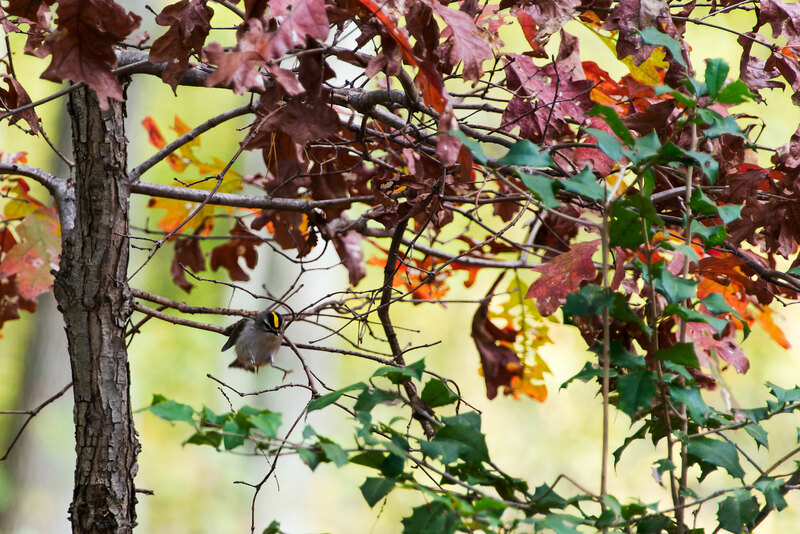 The kinglet’s bright yellow striped head was very clear in the image. There was no doubt what it was. I hoped that I too would see one and be able to photograph it. Shortly after leaving the boardwalk, I heard small birds high in the very tall trees. I could see a small bird darting from branch to branch, never sitting long in any one spot–not longer than a couple seconds. Each time it would land, I would quickly realign myself and camera, and occasionally get off a shot. When the small bird came down from the tree tops and perched on a nearby branch, I was able to see it more clearly in my camera’s view finder, and it was a Golden-crowned Kinglet! And, it was checking me out. The kinglet was fast and kept flitting from branch to branch. Below is a shot of the kinglet just about to land on a branch. After the kinglet had enough of me, it took off, and it was shortly replaced by the bird in the below image. I believe it is a White-eyed Vireo, based on other images. It did not stick around long either. 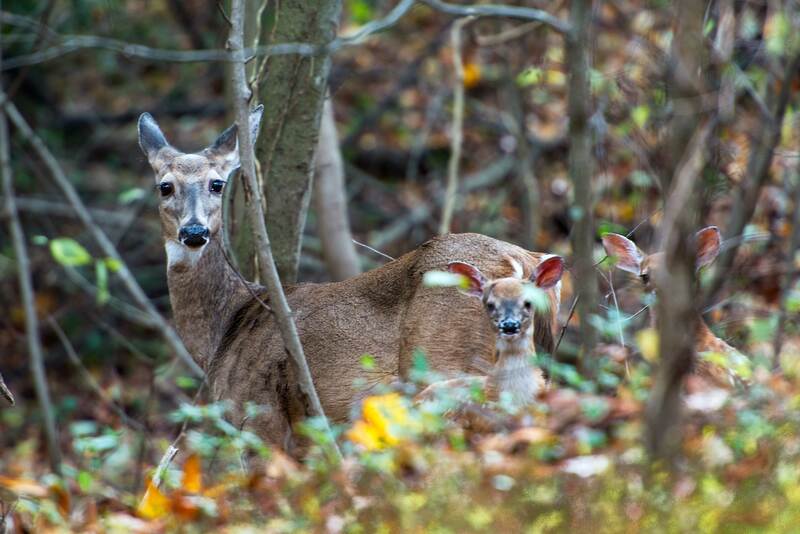 As I was leaving Bushey Point, I noticed a deer in a nearby wooded area. 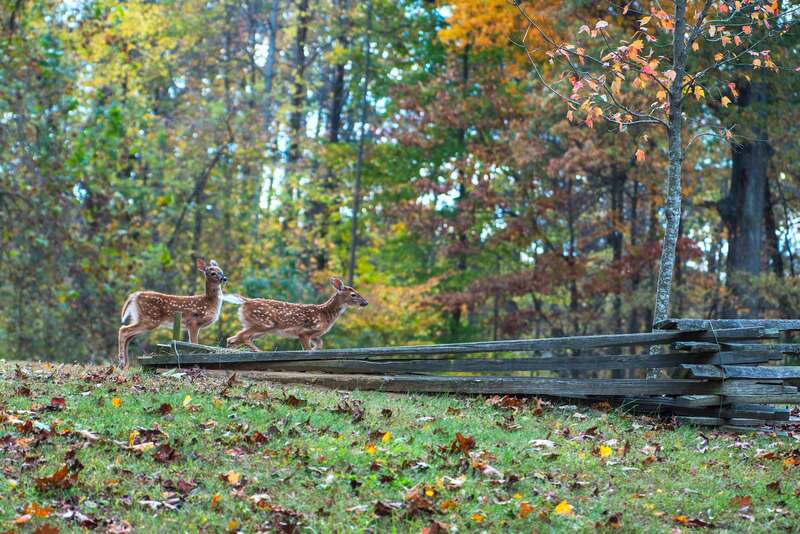 As I took aim, I could see some nearby movement that turned out to be a pair fawns. They also took notice of me and quickly departed. As mentioned when starting this article, there always seems to be something happening at LSP, my nearby little piece of the natural world, that is surrounded by sprawling suburbia. 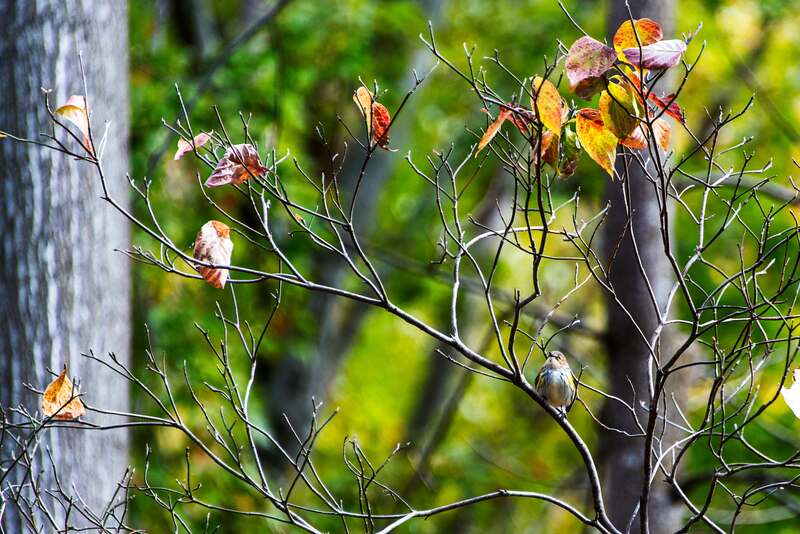 This entry was posted in Autumn Photography, Bird Photographs, Leesylvania State park, Nature, Wildlife. Bookmark the permalink. I love the abstract photographs! Is there nothing you can’t do with a camera? I’m also insanely jealous of your luck with the golden-crowned kinglet. I took a picture of one and it’s so blurry; they just won’t sit still! Great to hear from you Donnie, and I appreciate the positive feedback on the abstracts. I was very fortunate to locate and then to also capture the Golden-crowned Kinglet. You are right, they do not sit still and are constantly on the move. Hope all is well up there in Vermont. How fortunate to have such an interesting natural area close-to-home where you can find all sorts of interesting things. I enjoyed your tour; thanks for sharing! Love the abstractions of the leaves. Did you do these in Photoshop? As always, you do magnificent work! 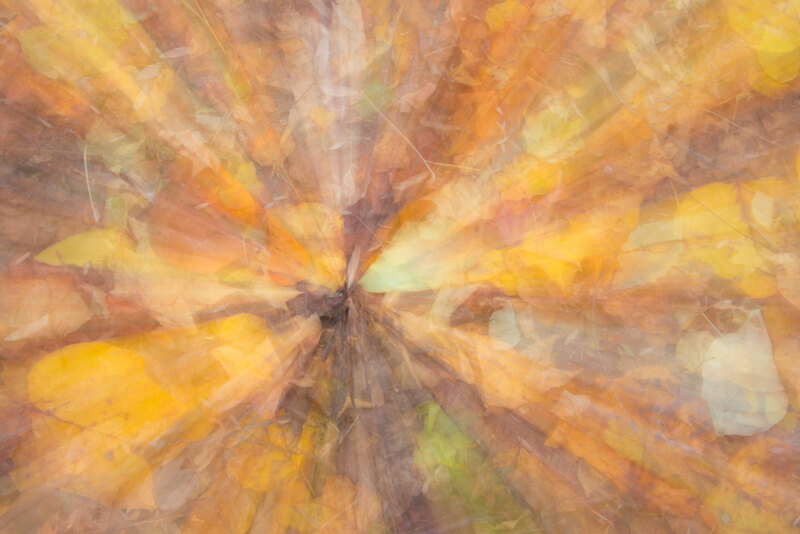 The abstracts of the leaves were not done in Photoshop. 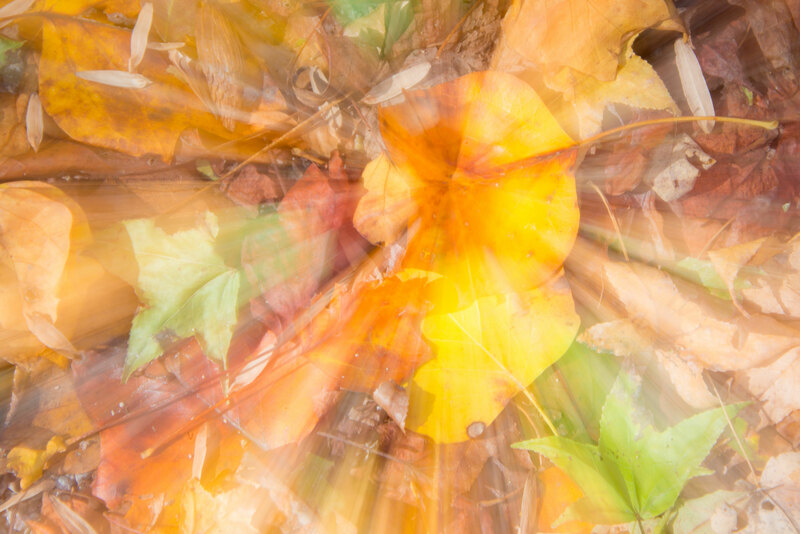 What I did was lock the camera down on a tripod, aimed the camera down at the leaves, set a long shutter speed, and zoomed the lens in or out while the shutter was open. That trail leading to bushey (something) photograph is stunning. Love the abstract photos! I agree with Donnie, you can do anything with a camera to make art! And, I too, am jealous of your easy access to wildlife and nature! Not to put down those well-meaning comments regarding jealousy of your talents or where we live, I’m just glad you share your gift with all of us, Steve. What a serene blessing your photos are to me especially after enduring this media-hyped elections week! Thank you Betty for commenting on my recent blog article. It is rewarding and inspiring to know that you are enjoying them.